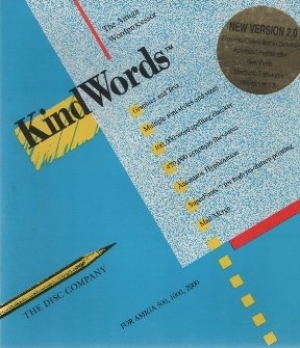 Home/Computers/Amiga/Amiga Games/Kind Words: The Amiga Wordprocessor. * Graphics & Text. * Multiple font styles & sizes. * 100,000 word spelling checker. 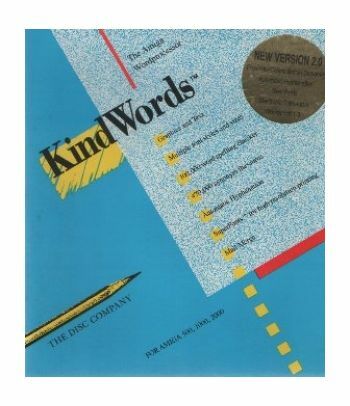 * 470,000 synonym thesaurus. * Automatic Hyphenation. * Super fonts for high resolution printing. * Mail merge. Manual included. OPERATES ON AMIGA 500, 1000, 2000.